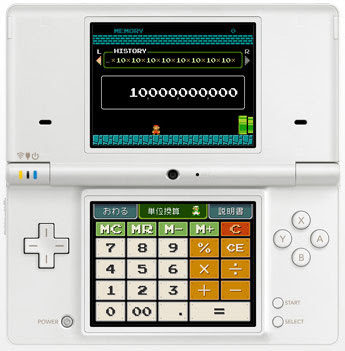 Mario Calculator (200 DSi Points) - Get your homework done while seeing Super Mario in action! This little app acts like a regular calculator, complete with Memory and conversion functions. Mario is on the top screen making sure your calculations are correct. 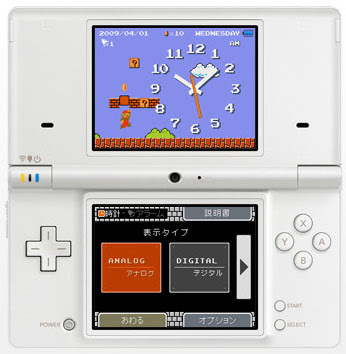 Mario Clock (200 DSi Points) - Who else to better keep your time than Mario himself?? You can also control Mario to jumo and get coins so you can unlock other animations. This clock app also has three alarm clocks.